Nature rules! 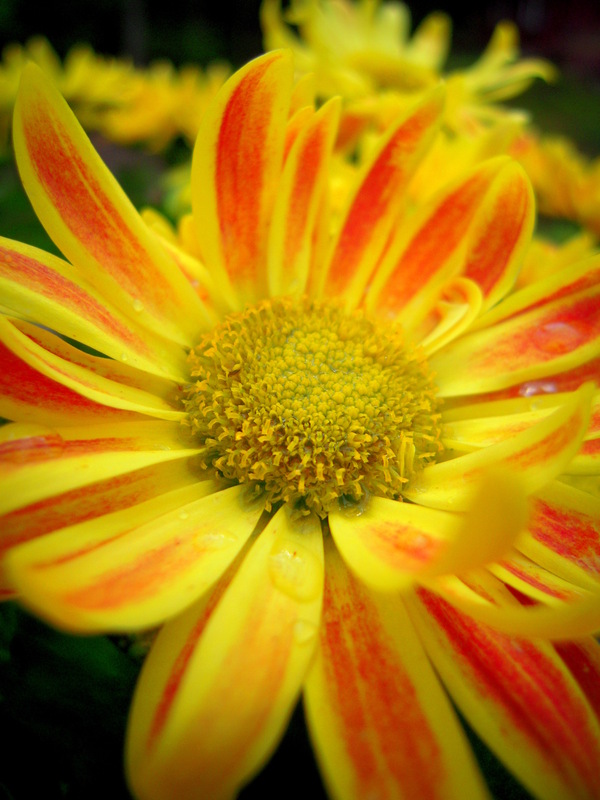 It is the greatest source of beauty with it´s ever changing scenery of light, colors, and seasons. Nature is my greatest inspiration for creating beauty in my life. A close-up of my sweater. 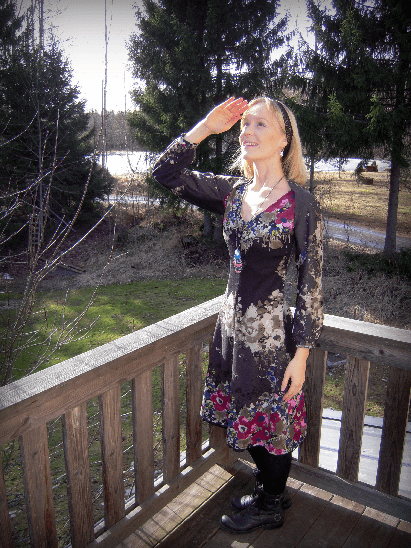 When I saw this fabric in the store the other summer, I immediately fell in love with it, and knew I had to make a kimono-sleeved shirt of it for New Year´s. 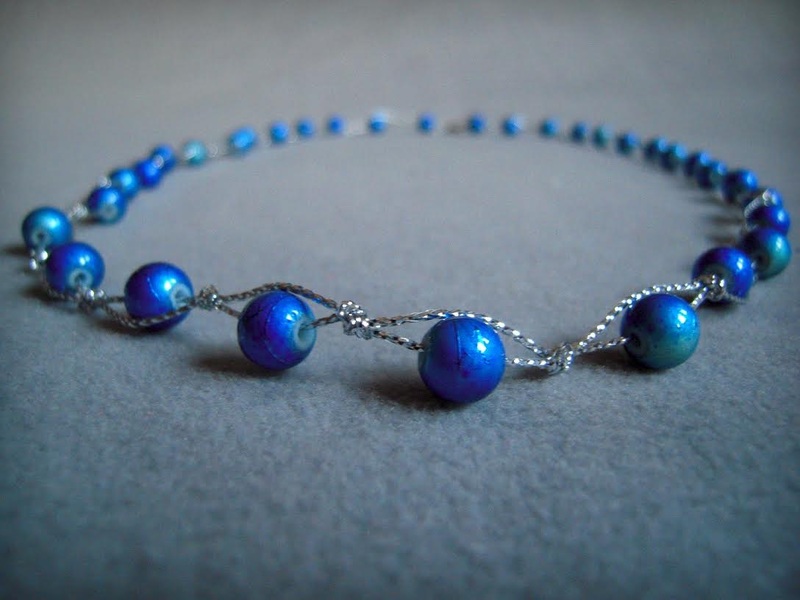 This necklace is my newest piece. 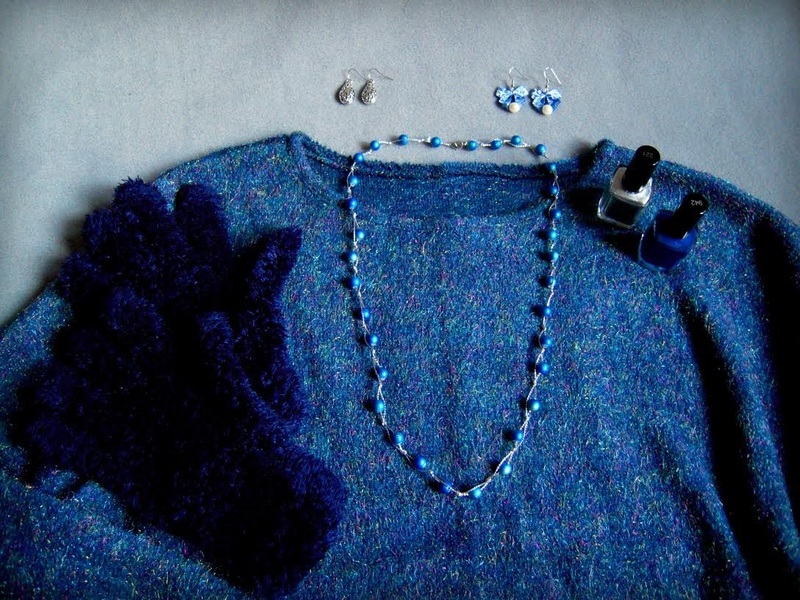 Combining yarn with glass beads, the result is more casual and can easily be worn to work, even with jeans. This was the first time I ever used this technique, and was positively surprised by how easy it was to make. On a double yarn just pop a bead through one string, then make a knot, and pop another bead in, etc. Voilá, done! 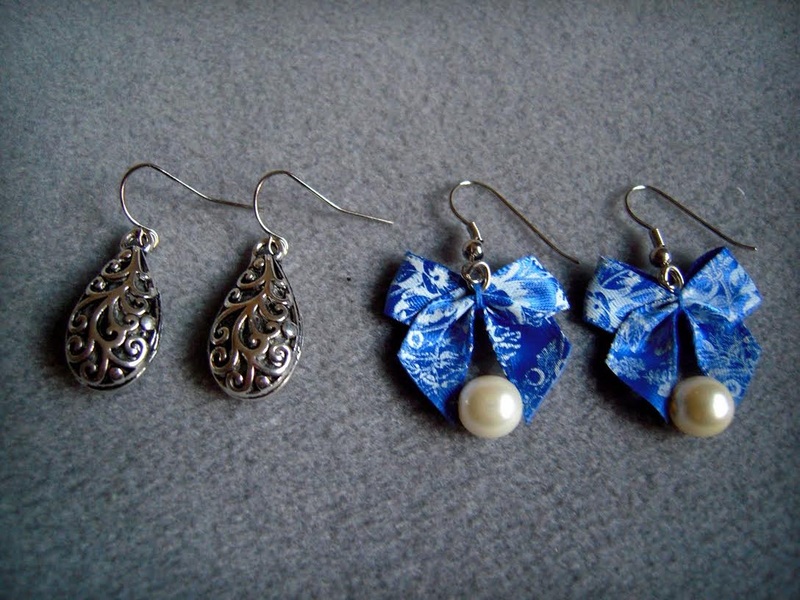 Earrings are a part of my daily beautifying routine. 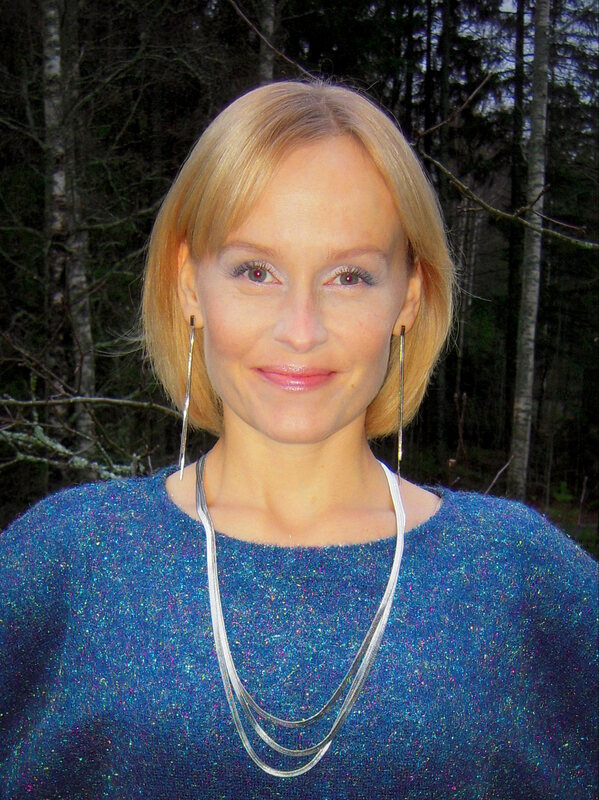 These aromatherapy pieces are perfect for New Year´s theme. I like to add a drop or two of bergamot essential oil on them to create a festive and happy spirit. First two coats of dark blue. Once dried, I take the sparkling silver one and start having fun adding small dots here and there, whatever happens to come to mind. 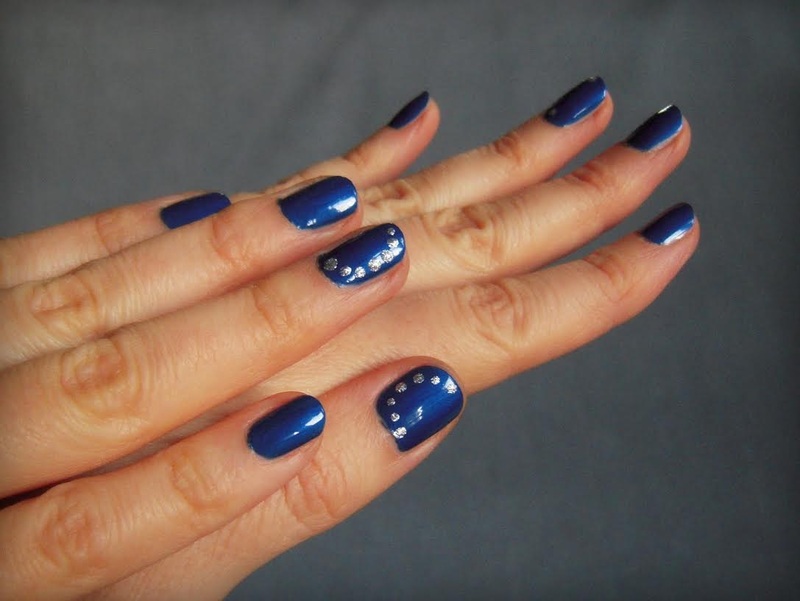 This time I did “crescent moons” on thumb- and ring fingers. The silver nailpolish looks amazingly like little jewels when applied in small dots. I highly prefer this over sticker ones, because these are flat and stay on persistently. Nails are an excellent way to perfect any look. Like most things in life, I rather do this myself than go get fake nails done. 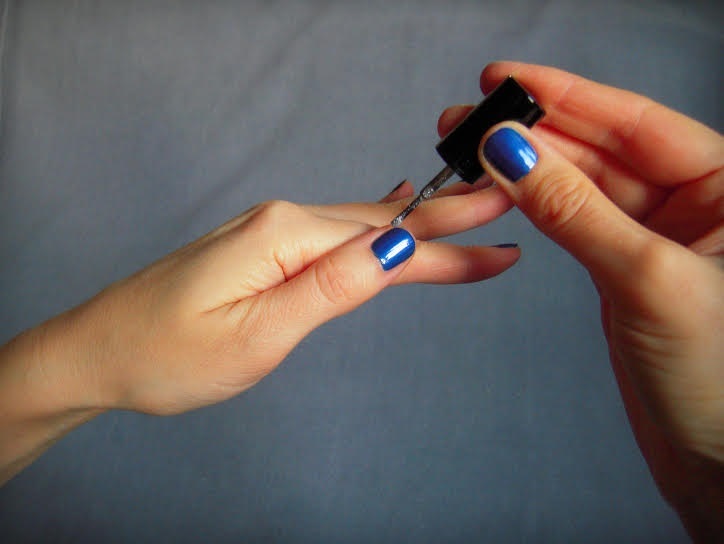 It saves me both time and money, and I can change the look weekly (I usually do my nails on Sundays). In dark blue I also have a pair of furry mittens, which add to the New Year´s spirit with my winter coat on. 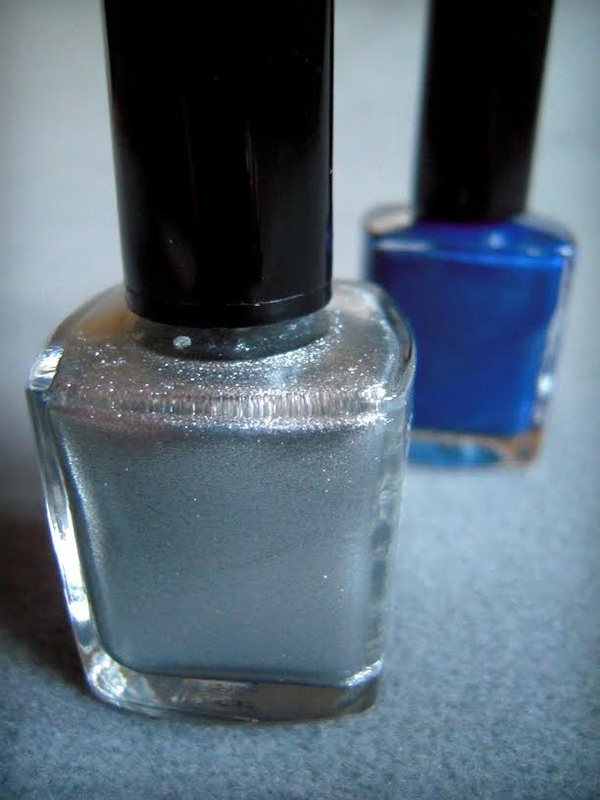 But I don´t want to do blue and silver from head to toe. A little goes a long way, and hints here and there is enough to keep the party going! But not the one from Wizard Of Oz! This one comes straight from my imagination, and is a combination of an Ostara witch and a Matushka from Russia. This witch combines the black from the common witch´s outfit, and combines it with the brightly colored floral prints of a Matushka doll´s traditional outfit. I still have this black woollen scarf with colorful flowers printed on it, I got as a child on a holiday trip to the Black Sea in (then) The Soviet Union. It is a bit itchy, so I don´t really wear it, but it always reminds me of the super-sweet and soft ice cream I got there, and the most magnificent circus show I´ve ever seen. To me Russia represents a great, but hidden, wealth of cultural creativity and wisdom. I am intrigued by it, and hope one day to get a closer look. This is as long a dress I can wear. For practicality´s sake that is. The hem ends right at the knees. Any longer, and I would stumple on it if/when kneeling down. The print of the fabric is just perfect for the purpose. The shoes I´m not yet satisfied with, but for now ordinary combat boots will have to do. Man, I wish I could make shoes too! This little detail gives the whole garment a nice finished look. Of all the Sabbats Ostara is the most playful to me. This is the time when a year is at it´s child state, if I can put it that way. Imbolc is for babies and Beltane for teenagers. What a nice weather for a ride on the broom! I´ll go grab mine, and a pot of green tea (but not a black cat, I´m allergic to cats =) , and whish off for a round of fun now. In my calendar Yule extends up to the middle of January. Yule is the only Sabbat that includes two major, populist, holidays; X-mas and New Year. Both have strong, unique, individual styles. Bottoms up! My favorite colors, just the way I like it. 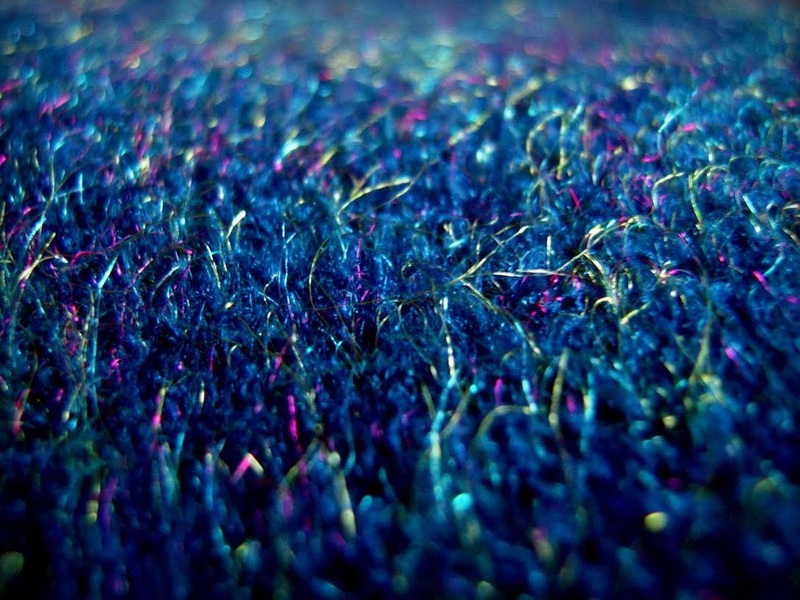 A bright electric blue is quite difficult to find, and this knit fabric has also metallic, multi-colored, fuzz all around it. Just like fireworks in the dark sky of New Year´s night! Could not be more perfect. The design. 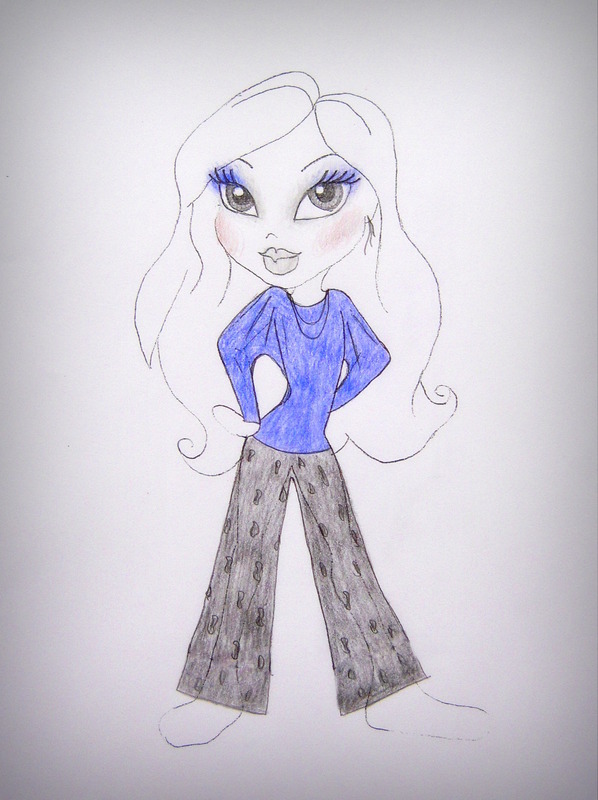 I guess I have not let the inner child in me die, because I love to use these printed pictures of Bratz dolls as motifs to my designs. They are exaggeratedly beautiful, and therefore perfect to use as my imaginary playground. Originally I wanted to make the pants out of fabric with print on it, but as it often turns out, there was none available. So I opted for a plain fleece instead (my favorite winter material!). This is the darkest time of the year, so I need to be seen in the dark too. Therefore I added a few star-shaped reflectors to the leg hems. 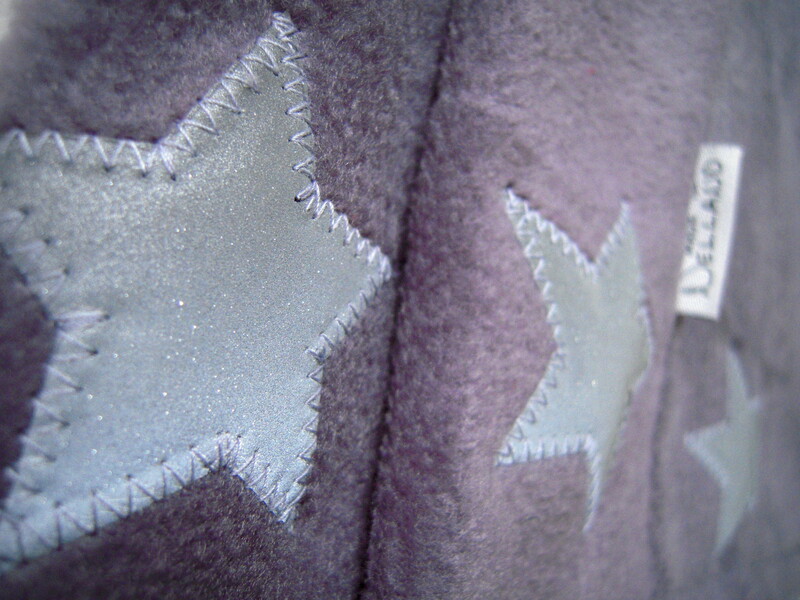 A close-up of the reflective stars. In daylight they don´t draw much attention to them, but when noticed, I hope them to soften and uplift the feeling of this otherwise quite serious-looking outfit. I´m enjoying life, and I want it (the happiness) to shine through my clothes. The makeup is as sketched in the design above. I like to match, and often repeat, the colors of the outfit in the makeup. Here light silver and royal blue are used on the eyelids as the focal point of the face. Cheeks are dusted with greyish beige to create a shadow mainly, and lips coated with sparkling light grey lipgloss for a frosty effect. Have a beautiful, happy and creative year 2014!